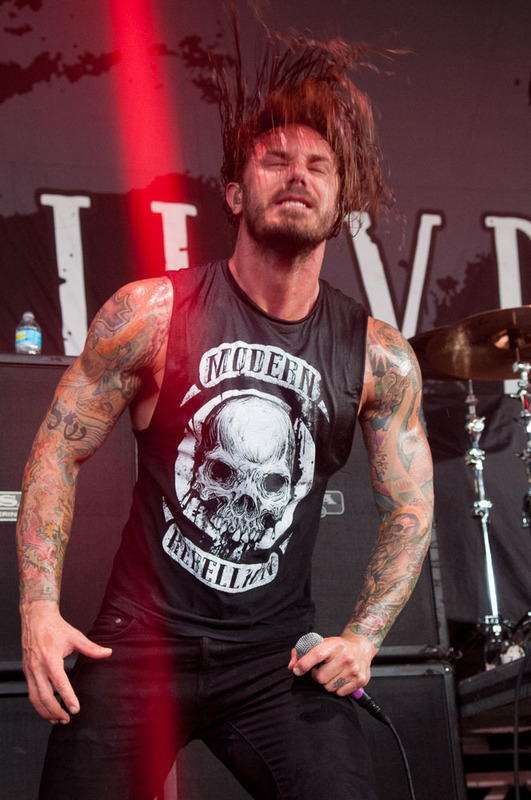 As I Lay Dying lead vocalist Tim Lambesis has pleaded guilty to plotting his wife's death by seeking a hired gun. Lambesis was arrested last May, but released on a 2 million dollar bail. After pleading not guilty in court in September 2013, he was set for trial. The singer's lawyer stated that Tim sought out an assassins help due to a lack of mental clarity from using steroids. It's shocking to find out what really happens behind closed doors, especially with someone you think has it all. I remember shaking hands with Tim, commending him after As I Lay Dying's 2012 performance at the Rockstar Energy Drink Mayhem Festival. He was between bench press sets on a tossed together gym from under the tour bus. Who knew all this was developing at the time. Goes to show that everyone has their demons regardless of status and success. I'm glad that Tim's wife is safe along with their adopted children. Side note: I really hope this doesn't become some ridiculous figurehead arguing that metal music has negative connotations.